In the past year I’ve watched my world blow up with loaded language, apathy and sadness. In the past year I’ve caught myself whispering sweet names Trayvon, Shantel, Tamir, Michael, Eric, Freddie, Cynthia, Susie, Daniel, Sharonda, Myra, Ethel, Depayne, Clementa, Tywanza, Sandra … the names stack up in my news feed like a holocaust memorial. I have wept a thousand times. My sister talks to her brown-skinned, kind-hearted nine-year-old about being aware and alert. Last month two people who are dear to me broke my heart with words of violence and racism. I am white and I am angry, because people who look like me can’t see that black lives matter. Black lives matter. Black lives matter. Black lives still matter. I can’t stop my heart from breaking. It has ached since I first encountered my privilege on a playground in New Orleans. It aches every time I learn more about Justice, or the lack of justice. Boys who look like my nine-year-old nephew matter. Someone close to me had property stolen and she blamed all black men. In a fit of anger she threatened the lives of all black men. I wept. And then I screamed. And then I nearly threw up. Her empty threat isn’t really empty. It is the reason for so many deaths of my black brothers and sisters. I say the word out loud. I have three sisters. I love them more than these simple Roman characters strung together can express. What if my black sisters were simply my sisters? What if I could walk out the door in my diverse neighborhood and see family? What would be different? I want to know what it would look like if my black brothers and sisters were given speeding tickets instead of handcuffs. I want to know what it would look like if schools on both sides of the tracks got funding for sports and arts and field trips. What if there were no tracks creating separation? What could be done with all that freedom? I want to know what it would look like if my country’s Senators were black and Latino and First Nations. I want to know. I am naïve and mostly blind to all the ways my country needs to change. I feel completely paralyzed by the weight of the problem and my inability to see solutions. 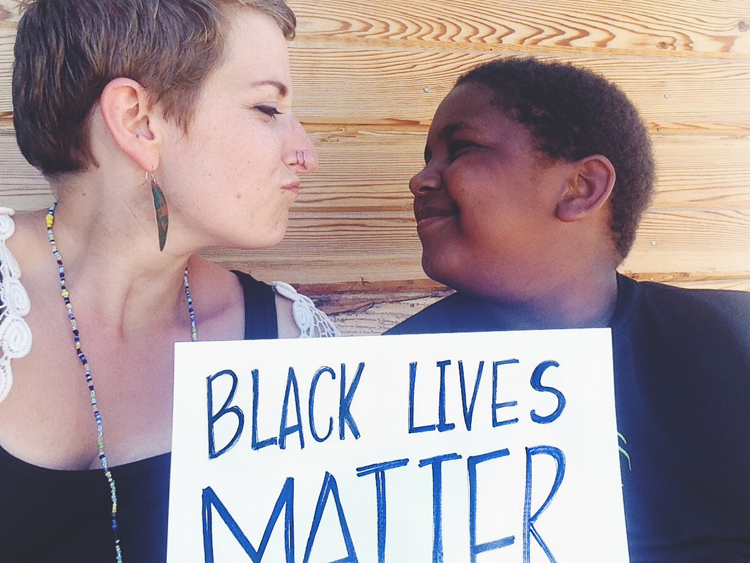 I do not deserve to be heard, but I am going to shout it anyway: Black Lives Matter.